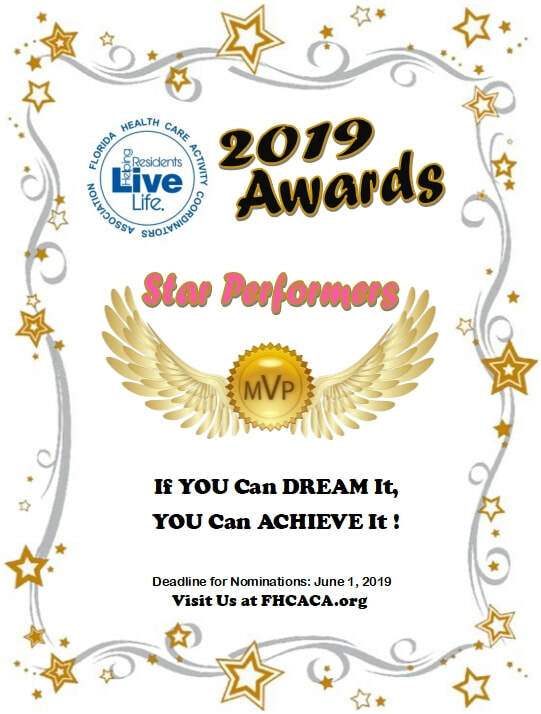 FHCACA 2019 Awards - "PRINT"
FHCACA encourages its members to participate in the awards program. FHCACA recognizes those individuals who make a difference in our facilities . All our members are constantly "Helping Residents Live Life" and they need to be recognized. You still have time to nominate one of your peers. Deadline is June 1st Please download your awards brochure now and lets have a 100% from all our categories this year. You are all Star Performers.